The Chinese classic The Art of War is one of those works whose adaptability and universality, coupled with its ancient Asian mystique, lends itself to superficial referencing, no more clearly seen than in the myriad of book spin-offs; there’s an Art of War for small businesses, women in business, managers, writers, parents, and on and on. Although some of these works are simply utilising a well-known title, others strive to add a layer of ancient Chinese wisdom by applying Sun Tzu’s teachings to the topic at hand. The fact that The Art of War is so flexible highlights an frustrating aspect of the book – the common-sense advice may be useful, but it’s often rather banal and vague; the likes of “An accomplished campaigner imposes his will on the opponent rather than being imposed upon,” “In war, speed is of the essence,” and “Move only when it suits your purpose,” are hardly revelations. 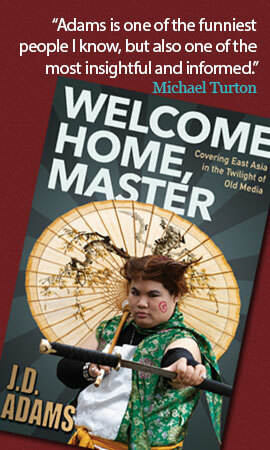 Christopher MacDonald’s The Science of War: Sun Tzu’s “Art of War” Re-translated and Re-considered gives us a new translation and also a new title, with “Science” replacing “Art.” He makes a good case that the title is an acceptable alternative translation of the original Sun Zi bing fa (literally Master Sun’s Military Methods) and better reflects the systematic, practical nature of the work. This reminds me of Dr. Victor H. Mair’s superb translation of The Art of War (published by Columbia University Press in 2007), which he subtitled Sun Zi’s Military Methods. to echo the pragmatic, methodical tone of the original. This is a significant feature of the treatise and gives Sun Tzu’s approach the character of a “science” more than an “art”, but it has often been downplayed or missed in previous translations. The Art of War is short; translated into English it’s about 70 pages in length (And that’s with a lot of white space). The original Chinese is much more concise. It was first written on bamboo slats tied together with silk threads, a medium encouraging brevity; the Chinese version included in The Science of War accounts for just 20 pages. For the modern author or publisher, this brevity is a problem, because a 100-page paperback just feels too lightweight. In the case of MacDonald’s book, he has chosen to add lengthy chapters related to the treatise. The chapter on the mysterious origins and evolution of the work is especially fascinating. It seems that Sun Wu (Sun Tzu or Master Sun), said to be a strategist during the Spring and Autumn period (770-476 B.C.E.) to whom the text of The Art of War is traditionally attributed, never existed. 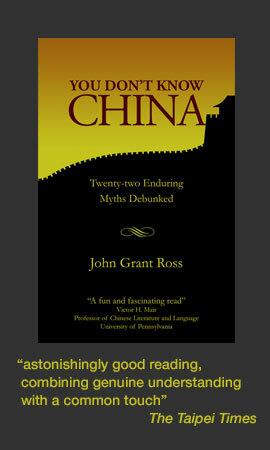 MacDonald has a chapter on Sun Tzu’s practical influence by examining three military figures – Cao Cao (155-220) who readers might know from the classic Romance of the Three Kingdoms, Genghis Khan, and Napoleon – and to what extent they were influenced by and followed principles outlined in The Art of War. Cao Cao is by the most convincing case. As for Genghis Khan and Napoleon especially, we can’t be sure that they were familiar with the treatise. Although there’s no proof that the French military genius read it, MacDonald thinks it’s reasonable to connect the dots and assume so. The translation of Sun Tzu by the Jesuit Father J. J. M. Amiot was first published in Paris in 1772, under the title Art Militaire des Chinois, and it was republished there in 1782 in a compendium of Jesuit writings on China, two years before Napoleon Bonaparte arrived at the École Militaire in Paris as a cadet. The translation had been well received, at a time when China was idealized in French liberal circles as a beacon of sophistication, and Napoleon, a studious young man with a voracious appetite for military history and theory, almost certainly would have come across it. Sounds plausible to me, but if and how reading it translated into strategy and tactics is hard to pin down. Nevertheless, it’s fun to speculate. Another intriguing titbit in the book is the possible connection between British military scholar Basil Liddell Hart reading Sun Tzu in 1927 and Germany’s blitzkrieg campaigns during the Second World War. 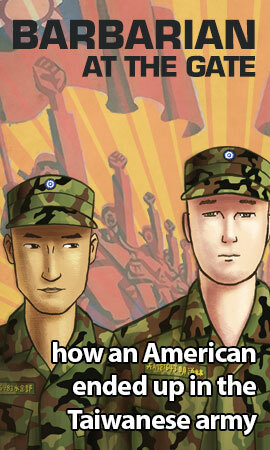 The Science of War contains a long section on “Sun Tzu and the PRC” with the focus on China’s desire to seize Taiwan. Are the leaders in Beijing applying the ancient wisdom of Sun Tzu? MacDonald sees much more of it than I do. He says: “By necessity, the campaign to take Taiwan has been mostly one of patience, subtlety and stealth.” Subtley? As subtle as a child throwing a temper tantrum. China’s approach to Taiwan has been one of counterproductive bluster and petty bullying. This has solidified an independent Taiwanese identity, and, similarly, the stifling of democratic freedoms in Hong Kong (not to mention in the “autonomous regions” of Tibet and Xinjiang) has been a loud warning against unification. 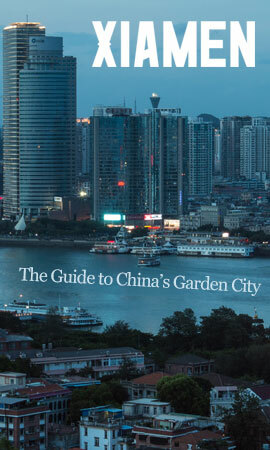 Christopher MacDonald is a translator/interpreter based in Cardiff, who has lived and worked in Taipei, Hong Kong, and China. 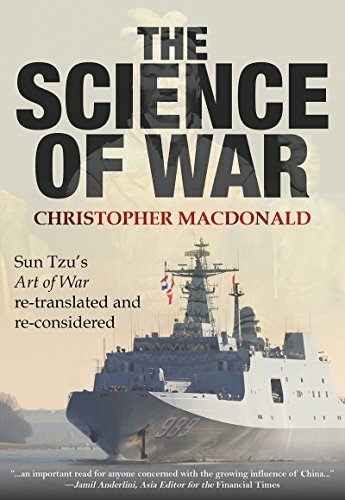 Sun Tzu’s The Art of War is a must-read for anyone interested in Asia, and MacDonald’s highly readable rendering and commentary make The Science of War a welcome addition to the choices available. The Science of War: Sun Tzu’s “Art of War” Re-translated and Re-considered is published by Earnshaw Books. It is also available from Amazon.com and various other retailers.